Here comes an idea from a small group of passionate bakers inviting other bakers to join them in this baking journey..... Let me introduce the bakers .. This is my effort to spread the word....and help this group grow. Lets enjoy this sharing and learning experience..... Cheers!! Welcome to the group, I am your new follower. 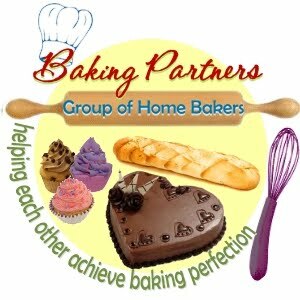 Hi Vidhya,glad to meet you through baking partners:)Happy Baking! Happy to be a part of the team.. Happy baking!! Hi Vidhya! So happy to be your baking partner! Happy to be baking with you...You got a lovely space..
coming over from baking partners. Love to be a part of this group. Cant wait to get started.